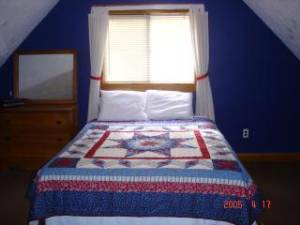 Newly updated home - sleeps 10-12 comfortably. All new furniture and recently completed game room with pool table and ping pong table. This home is located 1/10th of a mile to the nearest sandy beach (just one of 5 in the immediate area). Year round outdoor activities. Home includes wrap around deck with patio furniture and gas grill. Inside, the home includes a washer & dryer, wood burning stove, cable TV, 2 VCR's, DVD player, microwave oven, coffee pot, toaster oven and all dishes and cooking utensils. The home offers 3 bedrooms, 2 sleeper sofas and a finished basement with gameroom including pool table & ping pong table. 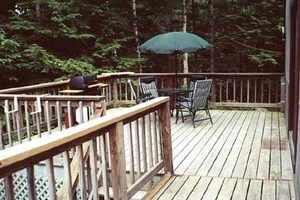 Story land, scenic conway rail road, Mount Washington, Pea Porridge Ponds, Kankamangus Highway, Cathedral Ledge, hiking trails, golf, fishing, boating, and of course, shopping in North Conway! Skiing at Mount Cranmore, Attitash Bear Peak, King Pine, Wild Cat Mountain, snowmobiling trails, ice fishing, ice skating and more! Seasonal Rental available for winter season. Please inquire for rates. My family has stayed at the Lawtons place many a times, we have fond memories of our stays......there was always enough room for all............and the place is clean. They the owners were easy going and always a pleasure to work with. Just wanted to let you know how much fun we had at your home. Its a very nice house and more than what we expected with more than enough room. I especially loved the pool table with the ping pong table on top of it, I expected a mini conversion table, Thanks! 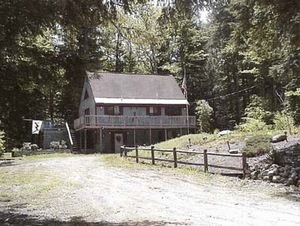 Everybody thought the house was so nice and fun that we definitely haft to rent this house next year, We think it was the best house we rented out of the past 5 years renting in N. H.
Please inquire regarding seasonal rental for winter season. 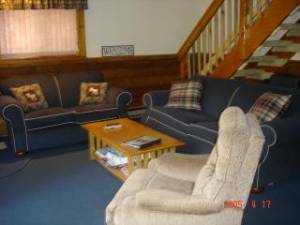 Other Fees: Refundable $300 security deposit required for rental.